A man has been charged with attempted murder after two people suffered serious injuries outside a pub. 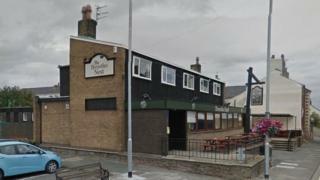 Cumbria Police said a man in his 20s is in a serious but stable condition at Cumberland Infirmary after the incident at the Throstles Nest pub in Wigton on Friday. A woman in her 40s suffered a serious head injury but has since been discharged from hospital. A 39-year-old man is due before Workington Magistrates on Monday. The man from Wigton has also been charged with possession of a bladed article, common assault and threatening a person in a public place with a bladed article.